What? Dinosaurs Never Existed? Read Why! Some people said that Dinosaurs were great creatures that lived about hundreds million years ago, but some people never believe that dinosaurs were never existed! Today, I will explain about reasonable logic why some people didn’t believe about dinosaur. According to the Christian’s Bible, Earth was created about 6000 years ago. In scientific journal, dinosaurs were extinct about 65 million years ago. When God created a man, He knew that human was made to be inquisitive,creative and resourceful. Human’s were designed to be bigger and better, hunger about knowledge, human will face challenges to always grow and survive. 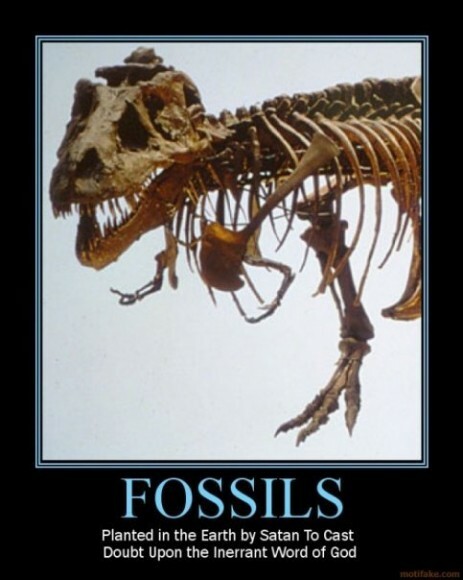 It’s not possible that God created the Earth with some fossils inside the Earth. God created the Earth that appeared aged to test our faith and challenge human’s minds. Some people believe that Bible ever explained about human’s faith that was challenged by even greater things than a Dinosaurs-Existed Theory. Maybe that’s the theory why some people weren’t believe that Dinosaurs ever existed, and wiped by huge-meteor hit and disappear the dinosaurs. I do believe in Dinosaurs, I love dinosaurs. How about you? Do you believe that Dinosaurs ever rule this Earth?